Your comments on the performance of Sibelius 5 [sic] seem correct to me. From the opening bars to less than impressive conclusion it was obvious that Robertson had not grasped the epic nature of this work. But why link it to your predictable diatribe against the BBC etc. ? The problem certainly wasn't the quality of the playing of the orchestra but the uninspired direction.When did you last hear the orchestra live? You do them an injustice. I think it would be useful to respond to the email above in some detail. 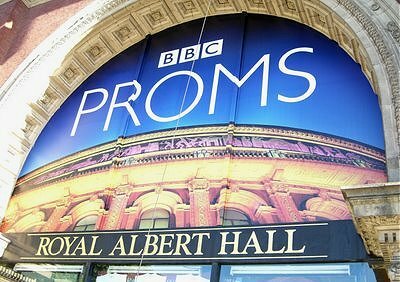 On Aug 26 I watched the BBC Symphony Orchestra Prom on television. It was immediately apparent that the performance of Sibelius' Second Symphony (not Fifth as stated in the email) was particularly poor, both in interpretation and playing. But at that point I decided not to write about it because I knew it would inevitably produce reactions like the one above. But on Aug 28 I read Geoffrey Norris' Telegraph review and this prompted me to post because "such a level of invective from an established critic is rare". However, before writing the piece I listened to the symphony again via iPlayer to confirm my impressions. To offset allegations of bias I based the post on the views of an established critic rather than my own. I opened with a long quote from Geoffrey Norris, emphasised the words were his and not mine and I restated some key criticisms he made which apply to the playing as well as the conducting. I also stated that David Robertson "is a fine conductor of contemporary music" and as a contribution to balance highlighted the excellent performance of the Turnage piece in the first half and stated that all musicians have bad days. Additionally, to add balance I said "Others may have a different view" and linked to a far more positive Guardian review of the concert. My post actually only contains two criticism of the BBC. The first is to ask whether the poor performance could have been avoided if the BBC Proms planner had programmed a work other than the Sibelius symphony. The second was to ask when the decline in playing quality of the BBC Symphony Orchestra would be reversed. The latter question is based on a subjective view, the former is not and is ignored in the email above. As I state in my post I watched the Prom on BBC 4 TV, the sound came via a very high quality audio system which has been documented here previously. I last heard the BBC Symphony Orchestra in the concert hall in July 2006 and last heard the Berlin Philharmonic and Vienna Philharmonic live in the 1980s. Does this debar me from writing about these orchestras? Of course On An Overgrown Path has themes which may irritate some readers. But so does BBC Radio 3. The difference is the UK public pays for one via a mandatory tax and not the other. Following the link in the first line of the email above reveals that 'JB' hides behind anonymity. This is entirely predictable and in line with similar responses to previous articles about BBC Radio 3. I am quite happy to debate future posts, but only in response to readers who put their full identity where their mouth is. * My 2009 post 'No such thing as a bad review' is not entirely irrelevant. Every summer we hear this overworked orchestra being flogged into the ground during the Proms. Yet between us, I'd be willing to bet we could come up with 5-10 youth/amateur orchestras who've never had a Prom, and would set the Albert Hall on fire. While the BBC players took time off to refresh mind and spirit. I believe you must forgive JB, Pliable, because he is still sorting out the difference between the Sibelius Second and the Sibelius Fifth. I have heard David Robertson several times, and I have always left the concert hall very, very unimpressed with his work. Most concertgoers would, I submit, readily concede that the BBC Symphony is currently the least of the five London orchestras. Anonymous comments about this post continue to arrive. Both points of view have been given an airing and it is time to move on. A few hours ago I uploaded a substantial and, I think, interesting article that makes no mention of the BBC. Hopefully that can now receive some attention.